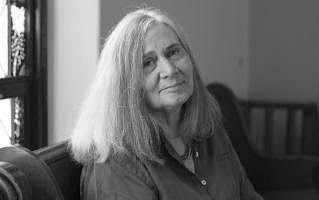 Join Center for Faith & Work for a special evening with Pulitzer Prize winning author Marilynne Robinson (Gilead, Home, Lila, and Housekeeping), the recipient of CFW’s inaugural Commission of Faith & Work. Hear this luminary author read from and speak about her forthcoming work, What Are We Doing Here?, a sagacious collection of essays that explore the mysteries of faith and the climate of American cultural and political life. Mining great thinkers like Tocqueville, Emerson, and Calvin, while investigating how beauty forms daily life, Robinson’s unmatched voice finds a new urgency for Americans of faith. An in-depth conversation will follow, investigating the author's illustrious body of work, her rigorous and scholarly devotion to the humanities, and how it all has intersected with her own personal faith. Robinson is the author of four novels: Lila (2014), winner of the National Book Critics Circle Award; Home (2008), winner of the Orange Prize and the Los Angeles Times Book Prize; Gilead(2004), winner of the Pulitzer Prize and the National Book Critics Circle Award; and Housekeeping (1980), winner of PEN/Hemingway Award for Debut Fiction. Her five nonfiction books include The Givenness of Things: Essays (2015) and The Death of Adam: Essays on Modern Thought (1998). Her many other honors include the American Academy of Arts and Letters Mildred and Harold Strauss Living Fund, the National Humanities Medal, and the American Academy of Religion in the Arts Award. Robinson, a longtime faculty member of the University of Iowa Writers Workshop, is a member of the American Academy of Arts and Letters and a fellow of the American Academy of Arts and Sciences. Robinson lives in Iowa City, Iowa, where she is a deacon for the Congregational United Church of Christ. She has received the Library of Congress' Prize for American Fiction.